The most important part of many couples wedding day is of course their wedding ceremony. The joining of two families and commitment involved will be remembered for many years to come and with all of your friends and family watching you take those all-important vows, you might want to make your wedding ceremony as beautiful as possible. Did you know that during your wedding ceremony there are many parts which benefit from live music? Live music is even better than playing your favourite CD, as it creates a stunning atmosphere for you and all of your guests. So, which parts of a wedding ceremony is music allowed? While you are getting ready to walk down the aisle, your guests will be seated, usually with the help of a wedding planner, member of staff or family member. It is a lovely idea to have one or two musicians playing in the background while guests are sitting down, and while they wait for the big arrival of the Bride. Walking down the aisle is another crucial moment where background music can make a difference. From the bridal march to other classical masterpieces or even modern hits, walking down the aisle is where everyone’s eyes will be on you. During your actual ceremony, music is not allowed, apart from while you are signing your wedding register. Many guests will be allowed to take photographs at this point too. Finally, the last part of your wedding ceremony which needs the addition of music is the recessional. This is the part where you walk down the aisle as a happily married couple! Your guests will follow you once you leave the room, and make your way to your wedding drinks reception. What kind of music am I allowed to have? This all depends on your wedding venue. If you are having a civil ceremony in a hotel, or perhaps local restaurant, you won’t be allowed any religious music at all. This is reserved for Church weddings. Other than that, there are no restrictions so if you want to walk down the aisle to a rendition of an Adele song, go for it! What kind of live music would be suitable for my wedding ceremony? 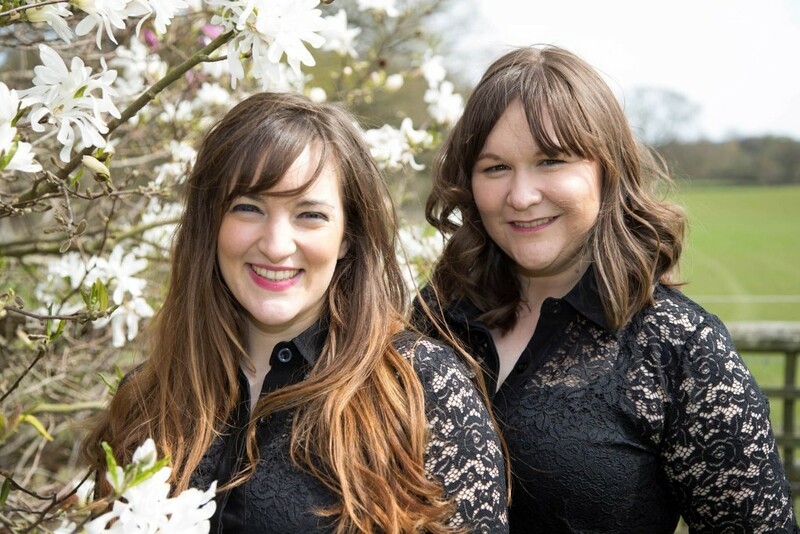 We are delighted to welcome one of our latest featured artists The Paper Songbirds who provide stunning live music for weddings, events or special occasions. With a vast repertoire, encompassing many decades and genres of music, The Paper Songbirds are able to design and create a bespoke set list, tailored specifically for you and your guests. This makes each performance a unique, innovative and unforgettably intimate experience, making them a perfect choice for wedding ceremonies. 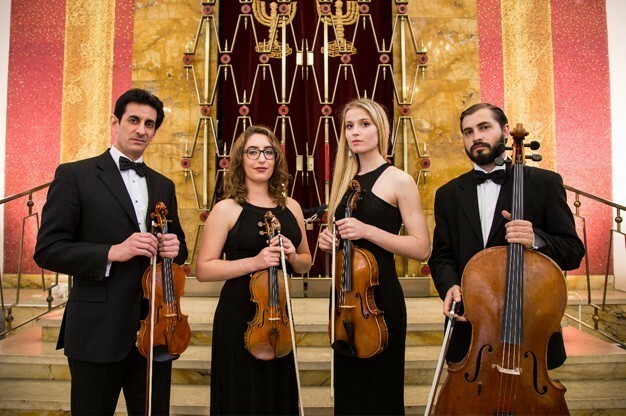 When it comes to wedding ceremony music, you really can’t get any better than a String Quartet. 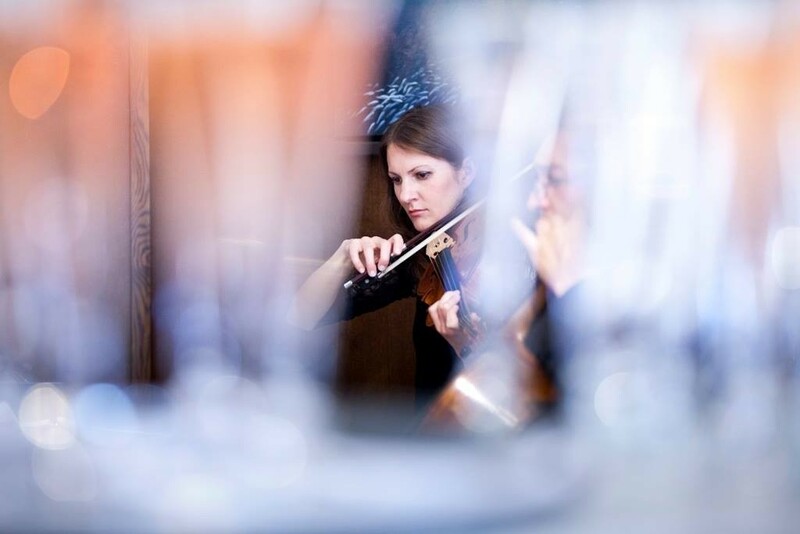 A String Quartet consists of two violinists, a cellist and a viola player, however you can also book String Duo’s or String Trio’s if you want a different selection of musicians. Most String Quartets will offer the choice of playing either classical music, or modern instrumental songs from many eras. Click here to find a String Quartet to play during your wedding ceremony and make the ambiance romantic! Choose a Harpist to play the most romantic instrument around! If you want a whimsical and magical sound, why not book a harpist to play during your wedding? A Harpist will strum and pluck at the string on their instrument to create the perfect setting for your big day. Hiring a Harpist will also add visual entertainment as they sit elegantly while they perform. 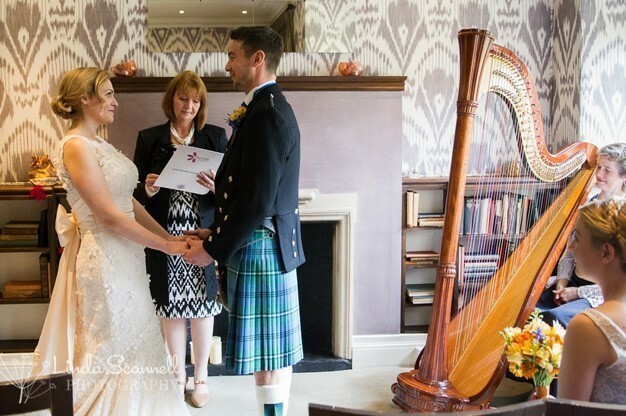 Want to find a harpist for your wedding day? Click here to browse our selection on our entertainment directory. Want something warmer? Why not book a Cellist? Is your wedding is taking place in Autumn or Spring and are you are looking for the perfect live music with a rich, warm sound? If so, book a Cellist to perform! Cello music is simply stunning and one of the main benefits of hiring a solo Cellist is that they don’t take up much space to perform – which makes them perfect for smaller and more intimate venues. Find a Cellist on our website and get booking for your own big day! Looking for an alternative to the string instruments mentioned above? What about booking a Pianist or Keyboardist instead? This option is fantastic if your wedding venue has a piano on-site, however don’t worry if they don’t as many Pianists / Keyboardists will be able to provide their own baby grand piano or keyboard. One of the biggest benefits of choosing this type of live music is that a Pianist can create many different sounds. 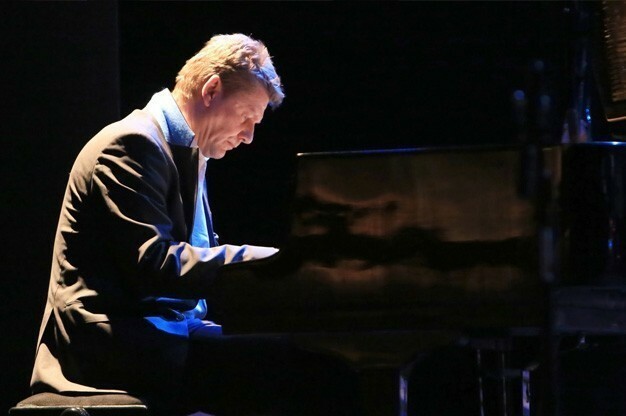 From gentle classical, modern hits and even Jazz, you will get plenty of choice when it comes to booking a Pianist or Keyboardist. Click here to check out our listings today! Love Swing and Jazz music? Hire a Saxophonist for something different! Are you a fan of Jazz music and looking for something upbeat and warm for your wedding ceremony? We recommend checking out our selection of Saxophonists who are available to perform at weddings! The Saxophone gives a rich sound, which is very distinctive and will give your wedding ceremony a unique atmosphere (but in a good way of course!). Looking for a Saxophonist? Browse our entertainment directory to find the right musician for you! For something traditional, opt for Bagpipers! 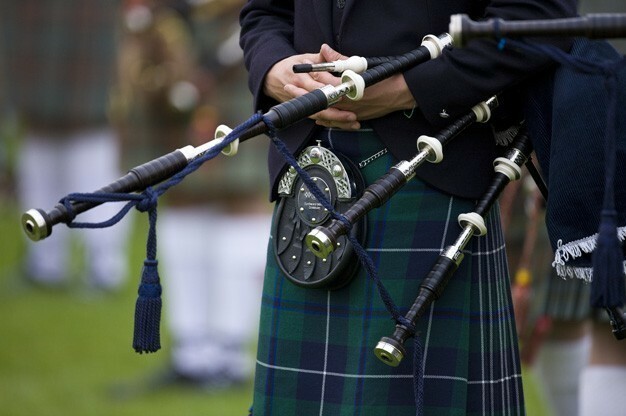 If you are planning a Celtic wedding, or perhaps a military one, have you considered hiring a Bagpiper to perform during your wedding ceremony. Bagpipe music is a love or hate choice, however they work fantastically for a traditional wedding. Want to book a Bagpiper for your own wedding day? If so, we highly recommend checking out our available performers. Even though we have given you a variety of suggestions for live music choices for your wedding ceremony, we have even more options available to you on our website where you can take a look at the huge selection of live bands available to contact and book for a wedding or other event. Using our entertainment directory, you can not only find the right type of entertainment but the right act too! Sourcing and booking entertainment using our website is completely free so all you will pay is the direct fee from each entertainer! Want to Save Time When Booking Your Entertainment? Sit back, relax and have your Entertainment contact you! By adding a post to our website e.g. ‘Cellist required for Wedding Ceremony on 16th June’, our available acts will contact you by email. Look at the Entertainer’s publicity, decide which is your favourite and contact them directly! The entire service is completely free of charge. This entry was posted in Wedding Entertainment Ideas!, Wedding Planning Ideas, Which Type of Entertainment Should you Hire?. Bookmark the permalink.